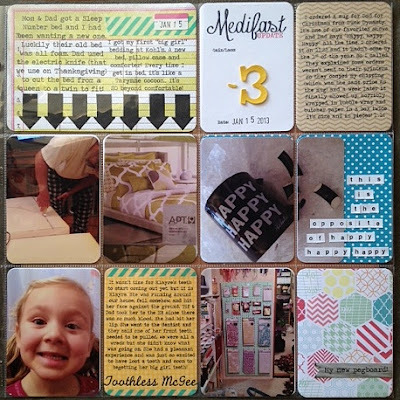 I just can't stop sharing my Project Life! This is the rest of Week 2 and the beginning of Week 3! 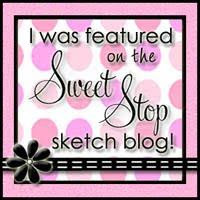 Week 2 is rest of CHA, meeting Becky Higgins, Kelly Marie from Lawn Fawn & Heidi Swapp! I journaled about going back and forth for months about deciding whether to do Project Life or not and meeting all these lovely ladies! This is my favorite card of the page. 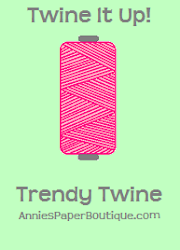 I absolutely LOVE this Pink Paislee paper! 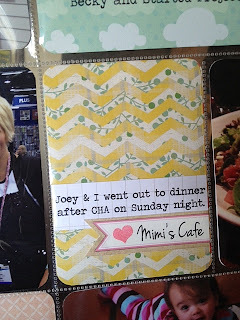 I used part of a grid card and a Soup Label from Jillibean Soup to do the journaling. On to Week 3! 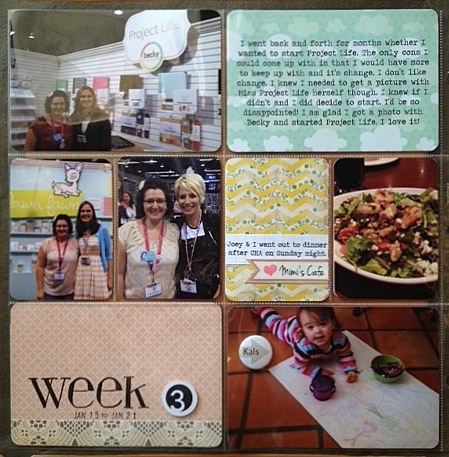 Lots happened this week! 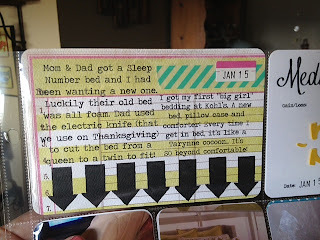 I lost 3 lbs., got a new bed, new bedding, got very disappointed about a present that arrived in pieces, Klayre got a front tooth pulled and I got a pegboard! This is my favorite card from this week! I love the arrows!